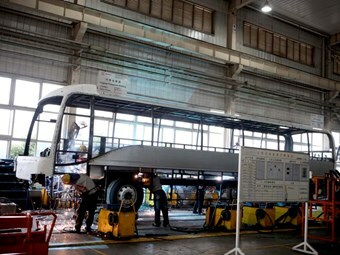 China's largest bus exporter, Higer, is seeking Australian bus body builders interested in forming a global joint venture. Higer’s Australian distributor WMC is behind the joint venture strategy and is keen to meet local bus body builders. WMC CEO Jason Pecotic says Australian body builders lead the world in terms of route bus design and construction and Higer's move to partner with an Australian company is a logical step. "Higer in China is seeking a bus body builder as a joint venture partner for global export with light weight aluminium bodies and body builders of all sizes will be considered," Pecotic says. "I must emphasise that the size of your business will not necessarily be part of the criteria for this strategy, but Higer is seeking companies that have strong quality credentials and capabilities with the latest technologies." Pecotic says Australia is Higer's first successful western market strategy and the next phase will be to target other major global markets such as Western Europe and North America.